Today's world is changing so fast, becoming so much smaller as people find greater and greater reach via the internet and social media. Veganism and related issues are at the forefront of this and having an impact I think none of us could have envisaged even a decade ago. 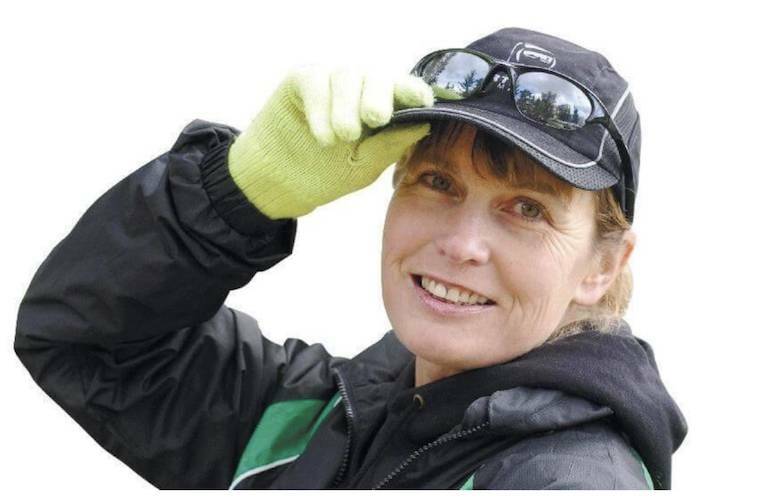 Fiona Oakes is the consummate example of an all-around animal activist. She has been vegan since the age of 6. Founder 22 years ago of an animal refuge in the UK—Towerhill Stables Animal Sanctuary—she currently cares for over 450 rescued animals. Fiona is an Elite Marathoner and quadruple World Record Holder in distance running events, being the fastest woman to run a Marathon on all seven continents and the North Pole. She is currently the subject of Running for Good, a documentary made by Keegan Kuhn, the award-winning film maker behind Cowspiracy and What the Health. She is the recipient of many awards for her work with both the animals at her sanctuary and her running and activism. Fiona also works with other charities and organisations to promote ethical and sustainable vegan living. She is a proud patron of Captive Animals Protection Society, an Honorary Patron of the Vegan Society, Founder member of VITA the animals rights group in Russia, Patron of Freedom for Animals, Honorary Member of Vegan Runners, and spokesperson and Patron of Omskiye Khvostiki, a dog shelter in Siberia. Fiona: Veganism pretty much is my life. I became vegetarian at the age of 3 years old—a totally self-inspired move on my part. I am always reluctant to say 'decision' because I don't feel it could actually have been such at that early an age. My becoming veg was more a reaction to, and rejection of, what I knew to be wrong—consuming animals who have been enslaved and exploited their whole lives. When I reached the age of 5 or 6, I was beginning to ask more questions as to the reasons behind why I felt this way and to explore other issues such as 'why does the chicken give us her eggs', 'where does leather come from,' etc. I didn't actually know what the word vegan was or meant, I didn't actually understand the intricacies, just the principles. When my Mother answered truthfully in that we did take these from the animals, I decided that avoiding these products would be the base line on which I would live my life. It took my family many, many years to follow suit, but thankfully they have made their own way down this path now. For me though it's not just a diet, it's in every part of every single thing I do. From starting the Sanctuary [Towerhill Stables Animal Sanctuary] over 20 years ago offering refuge to voiceless victims of horrendous exploitation to breaking world records to promote the beauty and benefits of ethical vegan living, my life revolves around this ethical stance. EVEN: Who was an influential person in your life earlier on that led you to veganism? Fiona: As I explained, I became vegetarian and then vegan at a very young age. Obviously, the main influences in my life at that time were my parents. My Mother has always been very supportive of my choice of lifestyle, if not always totally understanding of the reasons behind it. Without her backing me, I don't know what direction my life would have taken. I should add this was back in the mid 1970's when there were no dedicated vegan products or substitutes available and very little knowledge, understanding or even familiarity with the term 'vegan'. This is where a turn of fate stepped in for me. Back in the 1950's my Mum attended a Grammar School and was a very keen musician. As an accomplished pianist and violinist, Mum became very close to the music teacher at the school who was, unheard of as it was at the time, a vegan. This music teacher was looked upon with suspicion and even ridicule, but because of the common interest they shared, they stayed friends long after my Mum left the school. And it was this lady my Mum turned to for advice when I expressed my abhorrence at the consumption and exploitation of animals! At the time, things were extremely difficult for my Mum 'allowing' me to be vegan and she was accused of everything from child abuse to wanton cruelty, but she always held onto the reasoning that it is more cruel to lie to your child than to allow them to follow their beliefs. On discussing this in recent years, she recalls herself and my Grandma being called into her school back in the 1940's because my Mum refused to drink the free milk on offer after Rationing finished. Fiona: Two things spring to mind here for me, personally. The first misunderstanding people have is that you will not be able to thrive and get all your required daily intake of nutrients and calories, so then it won't be sustainable over a long period because with it will come ill health and deficiencies. That is a myth! This is why I set out on my Marathon running quest—to prove this to be wrong. With no written research being available, I guess I just wanted to illustrate in a way which could not be refuted, that this is incorrect. Again, a very childlike and basic reaction to something I know to be wrong. The second point for me personally, is when I hear others think veganism is just a diet; it is definitely so much more than that for me. Veganism is my whole life and reason behind living. Food is just one small, and very obvious, part of the giant jigsaw which makes up my life. Caring for the animals. Giving refuge to those with no hope. For me, veganism is about promoting plant-based living — for the animals, humanity, personal health, sustainability, the planet and the future. Once people are aware of the truth and facts, I believe it makes it an awful lot easier to make the right choices. Fiona: Breaking down mental barriers and the age-old stereotypes which exist in every single facet of people’s day to day life. It is hard for them to simply make the connection between what they are consuming and the life that preceded the product on their plate. From simply watching a film or television programme—the advertising, imagery, social gatherings— everything seems to be geared toward the idea that eating meat and dairy is normal, acceptable and necessary. It's quite frightening when you consider the power of marketing. Imagining the horror that would ensue in many countries to think a cat or dog would be harmed is quite remarkable, but people stand by quite readily knowing that another animal has died to supply their meal. It is all quite unbelievable. I think that individuals are also, by nature, frightened of the unknown and change. They fear what they don't know or understand. This is why we must get the information out there—by whatever means possible—to give them the educational tools to make their own informed decisions. Once people are aware of the truth and facts, I believe it makes it an awful lot easier to make the right choices. Fiona: I thought the world would be vegan when I grew up and it isn't - I am looking to change that now though! Fiona: I would tell any younger person today to follow your heart, do what you know to be right regardless of what others tell you. It's not wrong to be different—learn to love and respect yourself and who you are, and embrace and enhance that love and respect for the greater good. It's not bad to fail, because from our failures our greatest lessons can be learned. I honestly believe that to be true—experience is everything and knowledge is power, so use every scenario, whether it be good or bad, to learn from. Fiona: Find your own best path to activism—what suits you and your personality and skill set. Don't follow... lead! Be creative, grab opportunities, don't wait for them to come to you, take it to them and make things happen. Don't work to a plan—constantly grow and learn. Never rest on your laurels and think about what you have achieved, look forward and think what you can and will achieve in the future. For me, I don't like confrontation and angry outbursts. I believe it is an unproductive and a negative use of precious energy. When I went vegan, there wasn't social media to use as a forum for getting your thoughts out there, so I had to be inventive. That's when I took to Marathon running. With the help of a running colleague, we Affiliated Vegan Runners back in 2004 purely because I was being invited to run on the Elite Starts of some of the biggest Marathons in the World. To wear a Don't follow - lead! Be creative, grab opportunities, don't wait for them to come to you, take it to them and make things happen. Vegan slogan on your running vest and line up against the best runners around for the whole world to see on TV and in the press was amazing advertising and awareness for a topic not normally touched upon and certainly not in the domain of elite endurance sport. Now, 15 years on, Vegan Runners has over 17,000 members and is the largest running club in the UK. I always say it's the most effective form of 'accidental activism' you could possibly have, and it’s another example of something which hasn't necessarily been planned or formulated as being the most effective. Fiona: Favourite food is honestly, just food. With 450 plus mouths to feed at the Sanctuary, mine is often the very last one I consider. Being lucky enough to have enough food, to not worry about when or where the next meal is coming from, I feel blessed. Being grateful for and respecting our food is so important and is something which is often forgotten. In a world where so many have so little, I think this is my main priority. All my food is prepared from scratch by my Mum, who lives with us. It's worked for the whole of my life and with pretty good results. Key words are basic, inexpensive, seasonal ingredients, with lots of natural herbs and spices, such as Turmeric, Cumin, Mustard and Tabasco. She makes a pretty mean soup which she whisks up out of whatever she has at hand. Couple that with her home-baked bread and you really have a feast on your hands. Food always tastes better when it is home prepared and you are hungry for it. Because of my extraordinary daily routine, I only eat one meal a day, and that is in the evening. So, by the time I arrive at that point, I am ready for refueling! 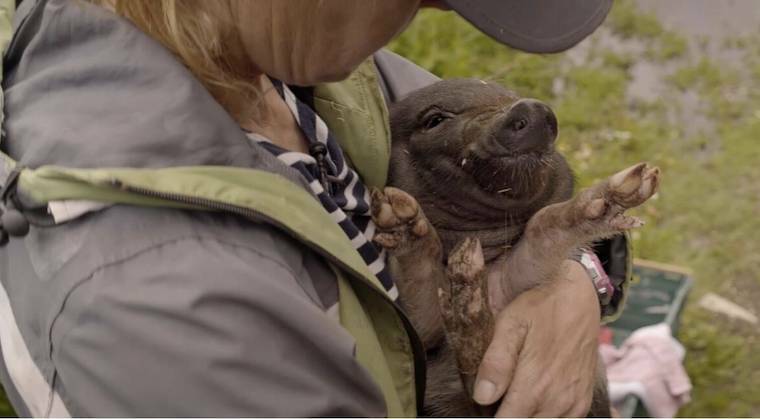 Fiona: Knowing that you are making some sort of a difference to the lives of others—whether it’s fewer animals who suffer because of your lifestyle choices or knowing that your choices aren’t directly or indirectly impacting people in a negative way. Fiona: Today's world is changing so fast, becoming so much smaller as people find greater and greater reach via the internet and social media. Veganism and related issues are at the forefront of this and having an impact I think none of us could have envisaged even a decade ago. I see the young people really taking on the mantle of veganism and making it their business to become aware of all the issues surrounding it. Not just the animal cruelty involved in animal agriculture, but also the impact on the environment, climate, unfair and unjust distribution of the earth's limited resources on other individuals and a potential for apocalyptic disaster if we do not change our ways as a species very, very quickly. I think the future of veganism is that it will move more and more into the mainstream so that it actually becomes the norm. If I am around long enough to witness this, I will consider myself a very lucky lady!